Step Forward Paper made from 80% wheat straw and 20% FSC (recycled wood) fiber—Instead of coming from trees this revolutionary paper is made from agricultural waste that is produced after a farmer has harvested their crops. Not only helping our forests but also our farmers—that is the intention of Prairie Paper the makers of the eco-friendly paper. Co-founded by well-known actor Woody Harrelson, he started the company some 15 years ago with Jeff Golfman and now originates the company out of Winnipeg, Ontario. He along with additional co-founder Clayton Manness is looking to raise capital with crowdfunding by giving up equity in their company. Crowdfunding with rewards have taken off with Kickstarter and Indiegogo, but equity based rewards are not as common in a public web space. With the large capital round to be attained, in Prairie Paper’s case $5,000,000 for 20% common shares, the space is for the more established investor instead of the everyday consumer. 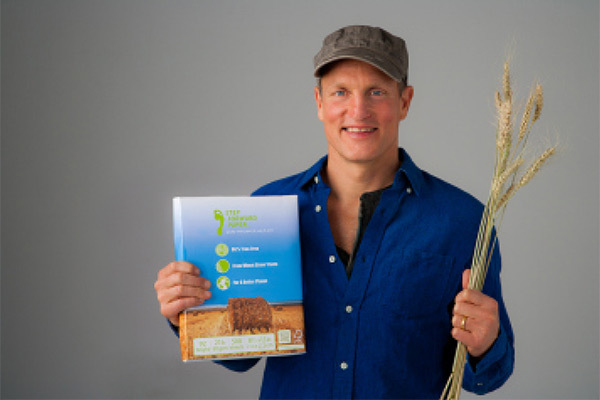 Woody Harrelson’s company is going about their funding through Optimize Capital Markets. A website specifically designed as an institutional crowdfunding platform, from which only users that pass their auditing regulations are able to participate. Optimize Capital Markets is looking to be the only player of record in a space that only has a few competitors (as web portals). Serving as a marketplace of choice for those with capital to be matched with those looking for equity capital, the website opens the door for possible partnerships that may not have been available to be discovered before. Optimize’s website offers additional companies outside just the environmental space, such as pharmaceutical, retail, and consumer products can also be found. But for Prairie Paper they hope wit additional funding they can progress toward their ultimate goal of wanting to build a 100% tree-free, off-the-grid, eco-friendly, chlorine free, mill on the Prairies.